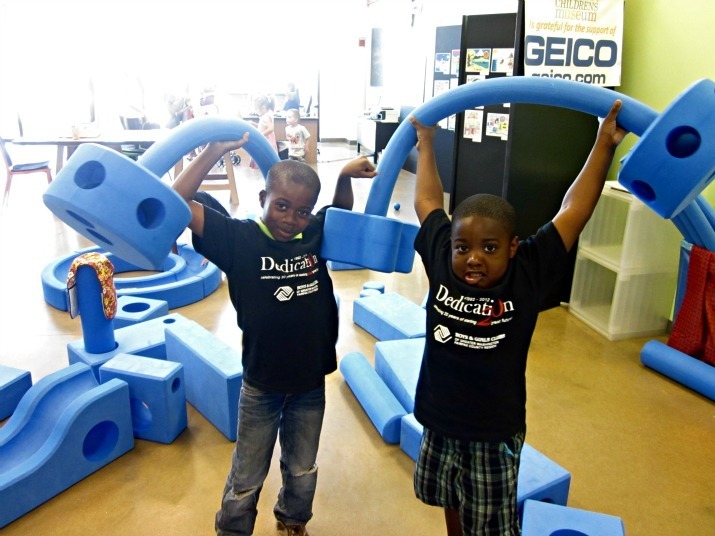 Imagination Playground testimonials | KaBOOM! Imagination Playground™ has been designed as a flexible play solution that can be implemented in any environment where children can be found. Here are a few of the ways that our partners have used Imagination Playground™ to increase levels of engagement, support professional development, and strengthen the presence of play in the community. In August 2016, Greenbrier Elementary School in Baton Rouge was severely damaged by flood waters. Due to the extent of the damage, the school had to be closed for the rest of the year. All of their play equipment was lost in the flood, and the kids there had to attend another overcrowded school that didn't have a playground. Many of the kids' homes were flooded too, and they lost everything they had. 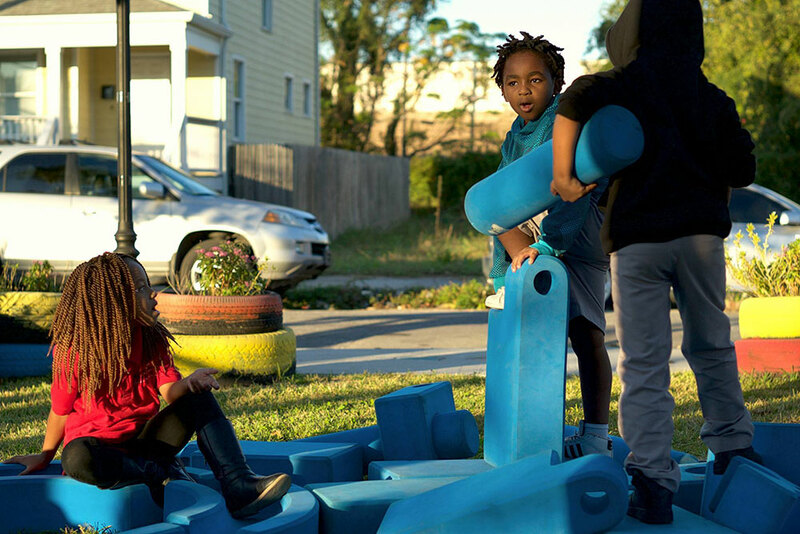 Imagination Playground™ provided a critical piece to healing—the ability to play. The creative play system gives communities with no other options a way for kids to stay active and gives the kids a safe haven from toxic stress. It's helping those kids reduce anxiety and build resiliency while their lives return to normal. The middle school did not have any age appropriate or size appropriate play materials/equipment. The Imagination Playground™ was perfect for our flooded school forced to relocate to a middle school. Students affected by the flood were able to escape into imagination and play and forget about the stress. As part of the Pittsburgh AEYC advocacy efforts to reinstate play in the lives of children, the P.L.A.Y. Academy endorses the use of open-ended materials and experiences that empower creativity and inventiveness. Spurred by the donation of the Imagination Playground™ from The Grable Foundation, PAEYC initiated the practice of providing the Imagination Playground™ and Play Associate Training to its play cohorts of teachers for one-month periods of time. PAEYC has since expanded its outreach to loans to the Children's Museum, the Carnegie Library and Museum and other community events. ...When children are given the time to create with quality equipment like these bigger-than-life blocks, they experience the power to think deeply. In the imagination of one little boy, play enabled an initial understanding of a tragic event, and even offered a way to soothe pain. Children's museums have gravitated towards Imagination Playground™, often building full exhibits around the equipment. They report that it is a wonderful way to promote inter-age play, as well as provide programming that increases active play. Many museums also use Imagination Playground™ as an outreach tool, featuring it at the center of their public, family-facing events. 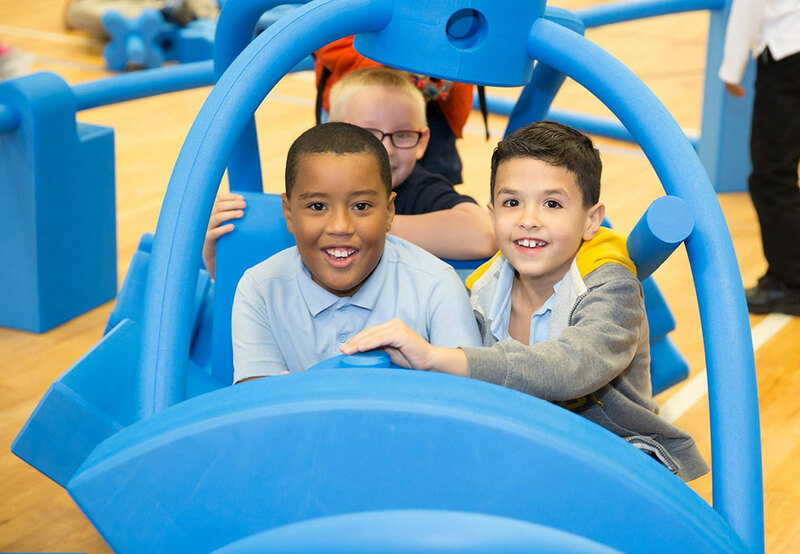 While the National Children's Museum's permanent site was under construction, the staff was able to use Imagination Playground™ as the centerpiece to its Launch Zone and Museum Without Walls program. 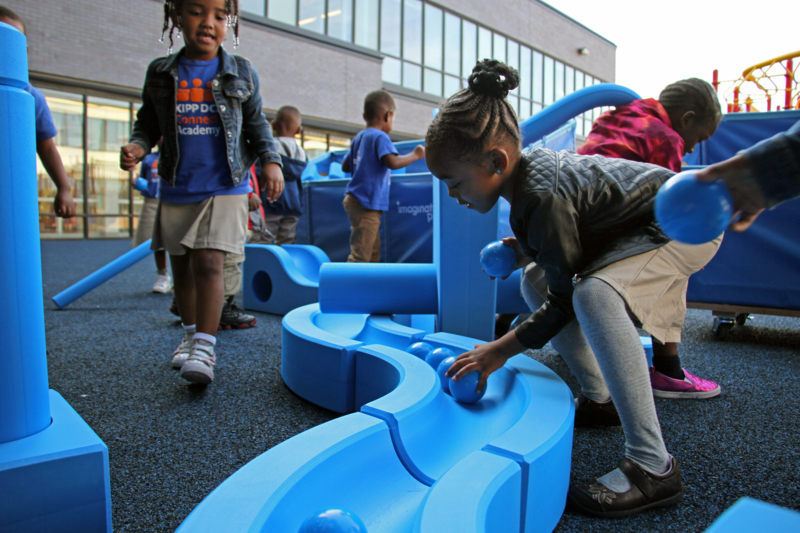 In both settings, Imagination Playground™ was used to create a block-building and construction zone providing children with the opportunity to engage in free play. 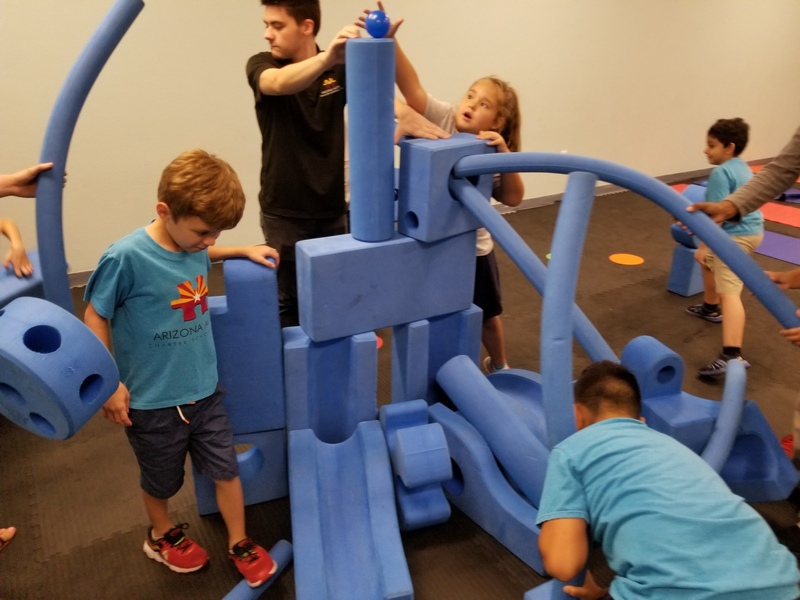 When we have arts and crafts activities, the kids usually leave after they're done with their project, but with Imagination Playground™, they stay for hours!